Double tap to see full pic! 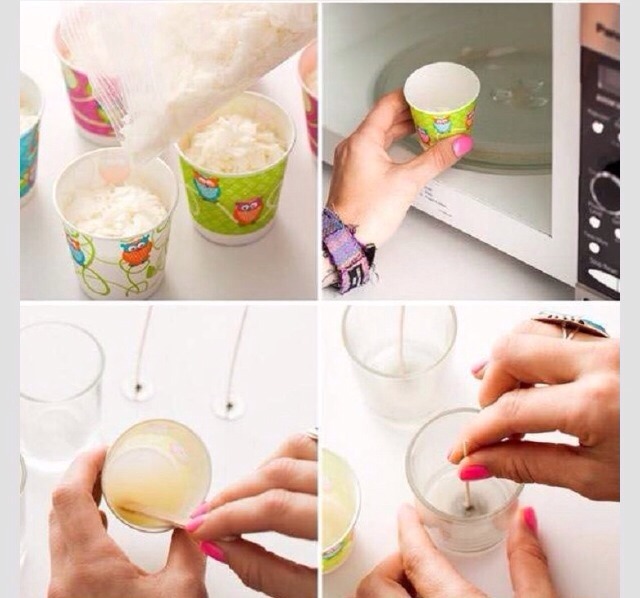 Melt paraffin in microwave. 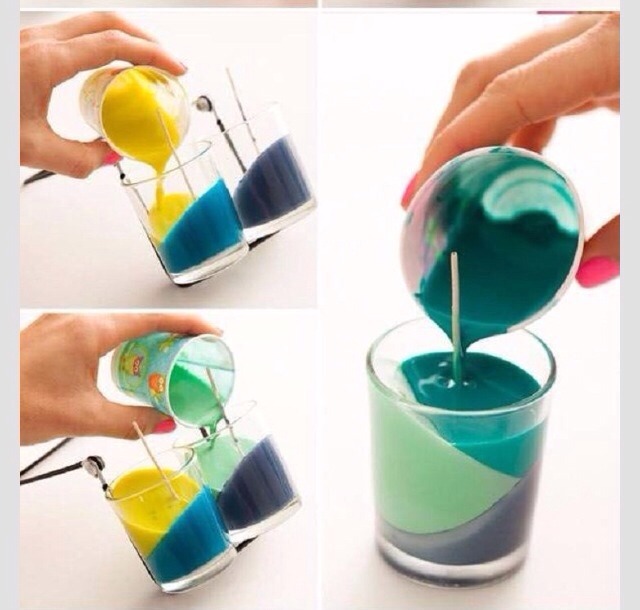 Mix then apply a drop to the middle of your candle holder. 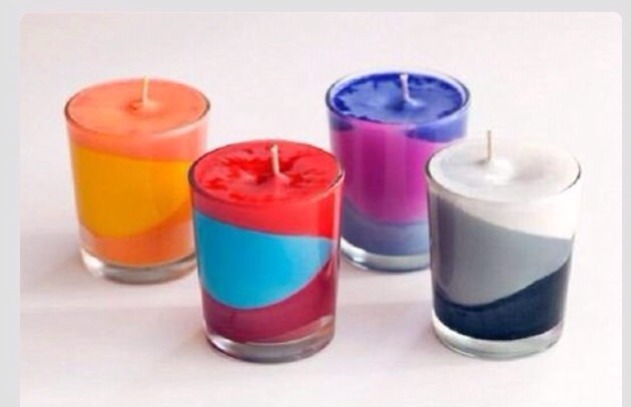 Attach your wick. 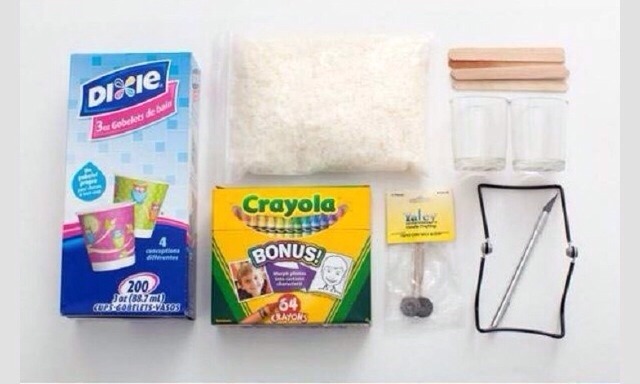 Melt crayons with parrafin. 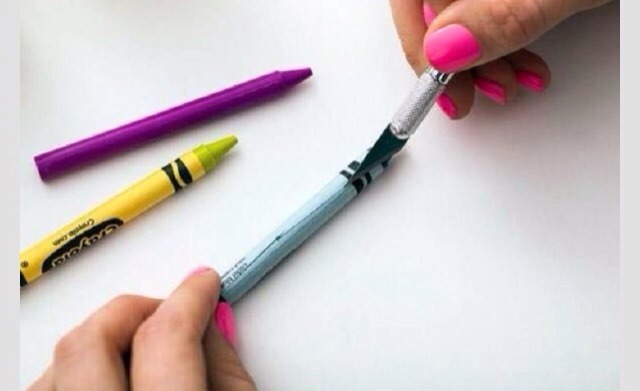 Make sure you place same colour crayons together. 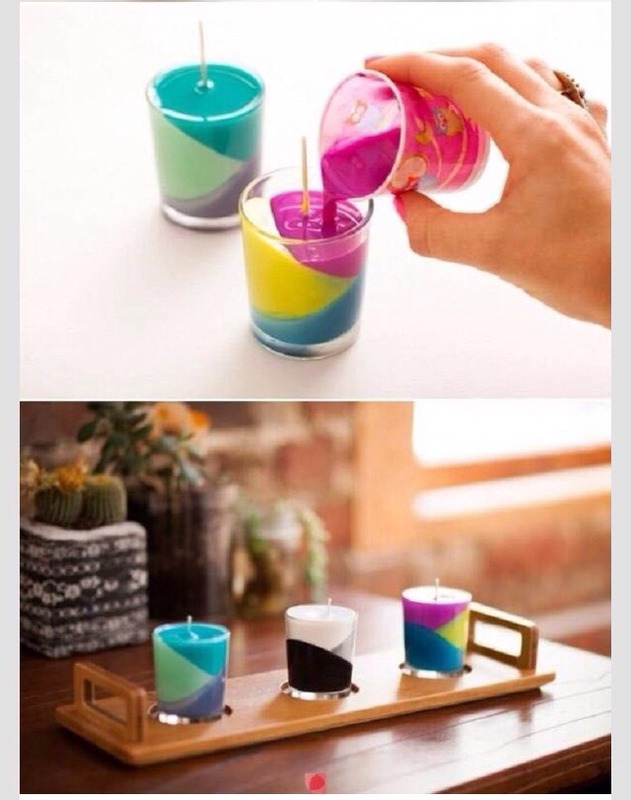 Stir and pour into candle holder. 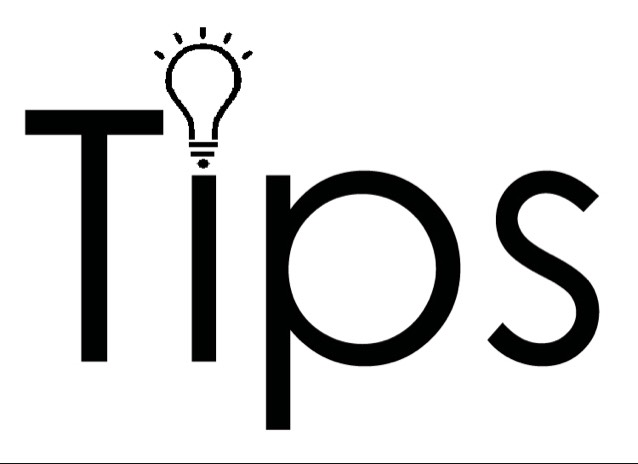 You can mix colours, layer them horizontally or diagonally as is shown in the picture. Wait until each layer cools before adding the next one. Please don't forget to like and follow! :) If you save it then please like it as well, thanks!